Premium Digital Performance Priced Well Below Popular Premium Brands! Fill out the form on the right and hit "submit." We will get the information on how to get your FREE trial pair of Legacy Lenses to you right away! 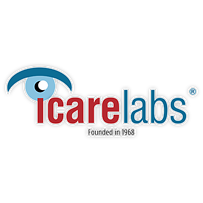 Thank you for your interest in IcareLabs. Get your FREE trial pair of Legacy Lenses! We know once you see the quality that goes into our house brand lenses, you'll want your patients to know about these! That's why we're willing to offer you or a colleague a FREE pair of legacy lenses. Fill out the form on the right or call James Stephany at 1-800-648-7463 x122. Just open an account with us and we will get your FREE pair of Legacy Lenses started right away!